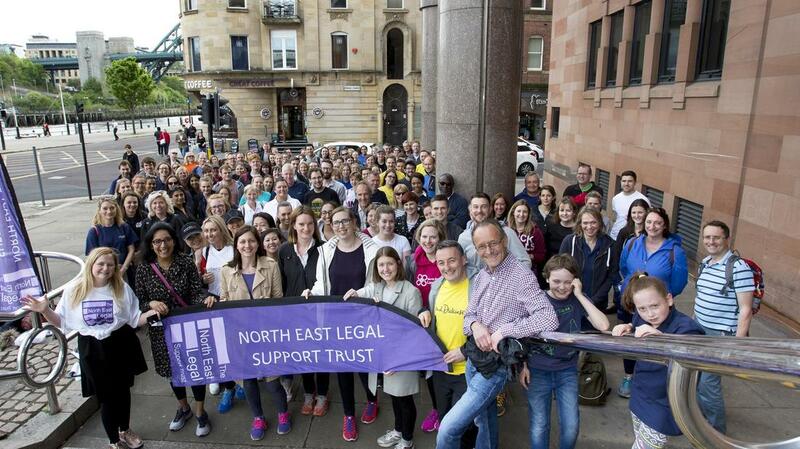 Back in May, the Newcastle Legal Walk (a sponsored 10km) took place. Thanks to all the friendly faces (human and dog alike- all are welcome!) who turned out to support our cause, complimentary post-walk prosecco, plus the gorgeous weather, the event was a fundraising success! 19 teams turned up, eager to walk and talk for the benefit of the pro-bono legal aid initiatives established in the North East region, including and surrounding Newcastle. It was a pleasure for the walk to also be attended by the Lord Mayor, Councillor Linda Wright, as well as our two lead walkers: Chris Hugill, Vice Presidenet of the Newcastle Law Society, and Nick Kinaid, the Deputy VP. No matter how little, or large, all donations are gratefully received. Each and every penny raised, get's returned to the community, going to free legal advice agencies which work to provide support to those who would otherwise have no access to the legal care they require. All in all, just over £6,000 has been raised so far, and best of all- if you want to contribute towards the increase of access to justice in the Newcastle area, you’re still able to make donations for this events. Just head over to the NELST website! The awards held at the House of Commons were opened by Justice Knowles, with speeches from Attorney General Jeremy Wright QC MP, Alex Chalk MP and James Harper of Lexis Nexis about the importance of pro bono work. Lexis Nexis sponsored the evening which also held awards for Best Contribution by a Law School, Best Contribution by an Individual Student Award, Best Contribution by a Team of Students and Best New Pro Bono Activity. See all the tweets from the evening using the hashtag #StudentProBono2017. Not long now until the Great Legal Bake! The North East Legal Support Trust is doing great so far with Teesside Law Clinic and Ben Hoare Bell LLP just signing up to join many others to make this Great Legal Bake the best one so far. You can see who’s already signed up here. ​Not long now - we're excited for the North East Legal Support Trust Great Legal Bake! The North East Legal Support Trust was established to support the provision of free legal advice in the North East and the Great Legal Bake is an important part of our fundraising activities. The organisations we support make a huge difference in the lives of many people. The recent cuts to legal aid and reduced household income for many working families has increased demand for free access to specialist legal advice and it is more important than ever that the poorest and most vulnerable people in our community have access to such support. For example, the trust has supported projects such as the Public Law Project which included gaining "exceptional funding" necessary to prevent breaches of fundamental rights. ​The Great Legal Quiz, has raised over £3,000 nationally so far! As part of National Pro Bono Week, over 70 organisations signed themselves up for the biggest quiz of the year. The North East Legal Support Trust teams tested their knowledge of everything from films to the Olympics to raise funds in support of access to justice in the North East of England. Topping the fundraising leader board in the North East so far are Northumbria University who raised an amazing £164.00! However, funds are still coming in and we’re confident that this will be the most successful Great Legal Quiz yet! All teams did a great job in raising money, and we are very grateful to everyone for pulling out all the stops to raise as much money as possible to support access to justice in the North East. It is time to lace up those walking shoes and start stretching as the Walk the Tyne Legal Walk is almost upon us! There's still time for you to join and you can register here. We currently have 8 teams signed up and a total of 33 walkers, with our biggest team coming from Bond Dickinson, all raising vital funds to support access to advice for all. Top of the fundraising table is the wonderful Birch & Co team who have so far raised £262! 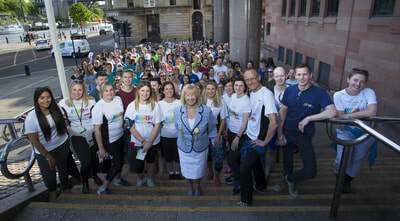 This is a fantastic achievement and has played an important part of making this year’s first ever Walk the Tyne Legal Walk bigger and more exciting than we could ever have imagined. So far the Walk has raised just under £1000 altogether. This is a great start but we still need everyone to continue fundraising as much as possible to support local advice charities. The charities supported by the Walk the Tyne Legal Walk help thousands of people every year gain access to justice. These charities are often the last resort for people facing difficult and distressing legal circumstances but without the resources to pay for private legal advice. Without this charitable work many vulnerable people would be left alone to navigate the court and justice system without any advice or support. We’re proud to have two charities walking with us on Saturday 29 October, Newcastle Law Centre and PSU. Please help us to continue to support the vital work they do in the local community by raising as much as you can at the Walk the Tyne Legal Walk. It looks set to be a fantastic evening with celebratory fish and chips provided at the finish line. A big thank you also to our wonderful sponsors Fincan and CILEx who are supporting and promoting our event. As we need sponsorship in order to be able to continue running our legal walk events their support is invaluable and key to continuing the work of the North Eastern Legal Support Trust. ​The Great Legal Quiz cannot come fast enough and as the days speed by, the number of quizzers continues to grow! We now have 8 teams in the North East of England committed to quizzing to support local advice agencies in their mission to ensure access to justice for all. Are you an advice organisation and not too sure about signing up? As an advice organisation, you are able to use the Great Legal Quiz to fundraise 100% for your own organisation. Alternatively, if you are not an advice organisation, you can choose to split the funds, 50% for the NELST and 50% to the charity of your choice! Walk The Tyne is just around the corner! ​Walk The Tyne cannot come fast enough and as the days speed by, the number of walkers continues to grow! We now have 4 teams and over 12 walkers committed to walking, running and sweating to support local advice agencies in their mission to ensure access to justice for all. So far, Birch & Co and Gateshead Council are leading in numbers with 4 walkers each, so please do sponsor them. Birch & Co must be following our fundraising tips to the letter! They have already raised £192.50, we hope you can continue to keep it rising! 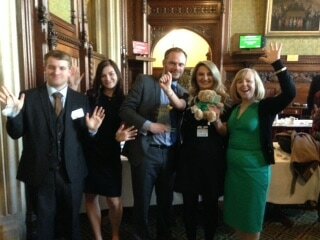 CILEX Newcastle are hot on their heels with £150.00, we’d love to see some competition for the top fundraising spot! We are expecting classic British autumn weather on Saturday 29th October to help our walkers enjoy their 13 mile challenge. And to celebrate the finish line, there will be Fish and Chips for all walkers! A huge thank you goes out to our supporters Fincan and CILEX Newcastle, the event would not be possible without your help! If you were hoping to take part on behalf of a charity, you also have the option to use the Great Legal Quiz to fundraise 100% for the charity of your choice, or split the funds you raise 50% with the North East Legal Support Trust! The North East Legal Support Trust was established to support the provision of free legal advice in the North East of England (Northumberland, Tyne and Wear and Country Durham) and the Great Legal Quiz is an important part of our fundraising activities. The organisations we support make a huge difference to the lives of many people, supporting the most vulnerable by providing funds to local organisations such as Leeds PSE, Newcastle Law Centres and NSPCC. Since the recent cuts to legal aid have come into force, the number of Law Centres has decreased by 20%, and reduced household income for many working families has increased demand for free access to specialist legal advice. It is more important than ever that the poorest and most vulnerable people in our community have access to such support.